I first started pulling pints behind a bar in a little market town called Ossett. What can I say about Ossett? Well, it’s mentioned in the KLF song “It’s Grim Up North”. The legendary pop duo Black Lace (yes, that’s Black Lace of ‘Agadoo’ fame) were born in Ossett, as was Coronation Street’s Gail Platt. The town was built on textile mills (a hanging sheep is featured heavily on the town’s coat of arms) and coal mines. The World Coal Carrying Championships are still held in nearby Gawthorpe every May. Just to put the icing on the cake, Ossett is defined in the “Meaning of Liff” as ‘a frilly spare-toilet-roll-cosy’. I bet you’re all champing at the bit to visit Ossett now, aren’t you? Chuck in a banjo playing idiot and I’ve described a scene straight out of the film “Deliverance”. I wouldn’t normally take the mickey out of a town like this for fear of reprisal from outraged residents. But I’ve no fear because I still live just a mile away from Ossett and I bloody love it. All the shopkeepers have a natter with you and call you “love”. All those pits that closed down in the sixties and seventies have been landscaped to provide the Big Dog and I with a plethora of scenic walking routes. It has a cracking market place housing one of the best bottle shops in Yorkshire, nay the whole of the UK, (hello Bier Huis Dave!) and an impressive millstone ‘n’ grit town hall. It’s also evolved, and where the pits and mills used to dominate, it’s now home to a fast expanding brewery which has grown from humble beginnings to being a major player in the beer world over the past twenty years, and put Ossett Brewery beers on the wickets of pubs nationwide. 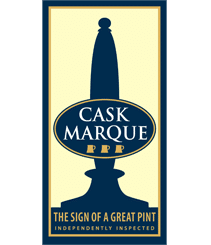 Running the risk of sounding ancient, I remember the now Managing Director of Ossett Brewery coming into my pub with his Dad when he was a young boy. His Dad was one of the founder members of Ossett Brewery, and had spent decades honing his brewing skills at the nearby Tetley’s Brewery in Leeds. Taking this knowledge and expertise, Bob Lawson recognised changing consumer tastes and the thirst for a ‘real ale revolution’. Ossett were amongst the first breweries in the UK to start experimenting with lager malt in ale, and adding American hops to cask beer. 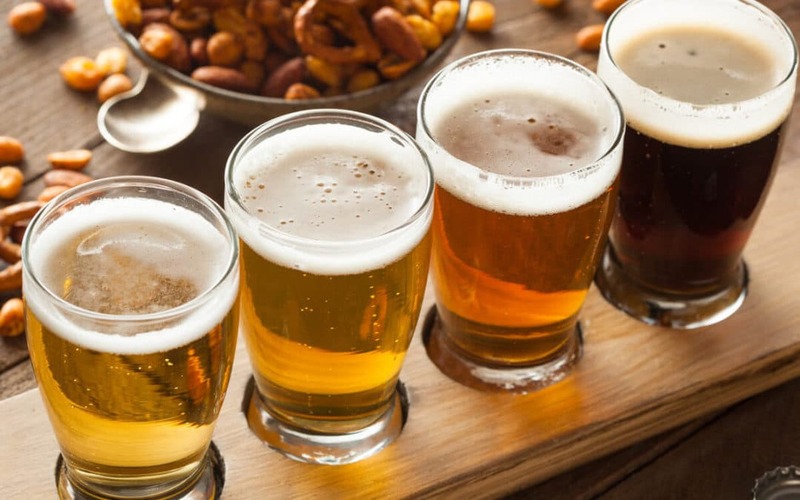 Before the purists spit their beer out in disgust at the mention of lager malt, it’s these type of breweries which introduced a new generation of drinkers to the beauties of real ale. They recognised that whilst there was still place for the well established classic ales, there was a growing curiosity amongst drinkers to try something a bit different, to explore new flavours and colours and strengths whilst still adhering to the traditional methods of brewing. Ossett even established micro breweries in some of their pubs, long before it became fashionable to do so: Fernandes, Rat & Ratchet and Riverhead. Taking the first letters of each of these micro breweries and putting them together, the collective is known locally as Ferrari. Clever, eh? I had a look at which of their beers, well known to the local community, is also widely available nationally, and I was delighted to find it’s Silver King. This is a straw coloured, zesty 4.3% ale, brewed with generous amounts of American Cascade hops. It’s crisp, snappy, dry and refreshing. Just the ticket for a summer’s day and absolutely made for the clean zingy flavours in Thai, Vietnamese food and even Japanese dishes. I’ve had it with a prawn pad Thai, and also Yam Nua, a spicy beef salad, both work brilliantly. This beer is as far away from the ‘flat caps ‘n’ whippets’ picture I painted at the beginning of this piece as possible. And a great way of apologising to the rest of the world for Agadoo.